Ah the bottling. 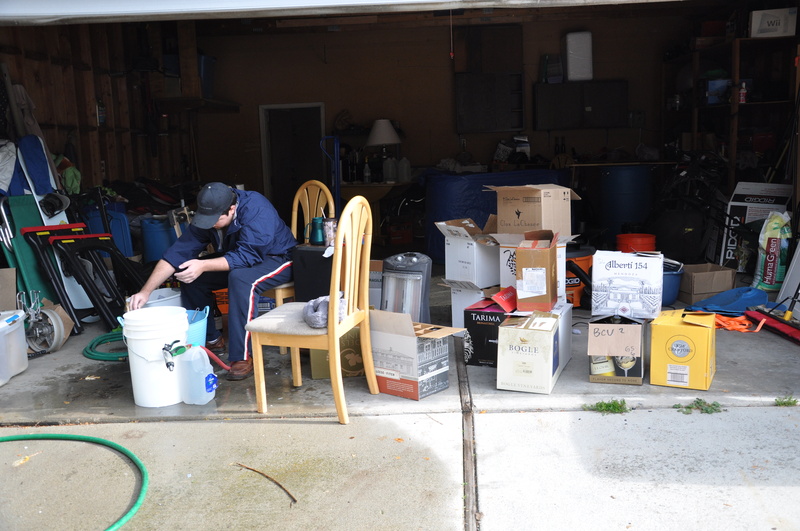 Not too long of a process considering we did it in our garage cellar. 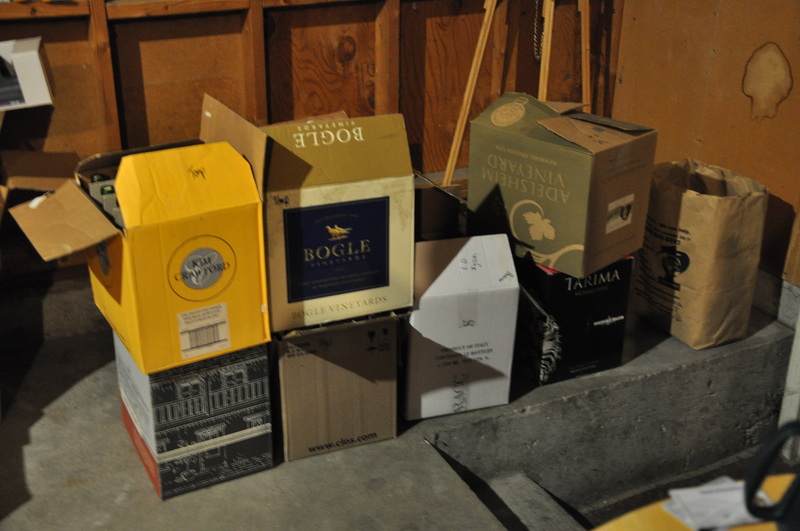 So we cleaned bottles day of, because that is how we roll. Got everything loaded into the truck (including the 15 gallon barrel that is mega heavy) drove down to Riverwoods (who we piggy back off of, but lately we have been walking just behind them) and they were just. finishing. up. 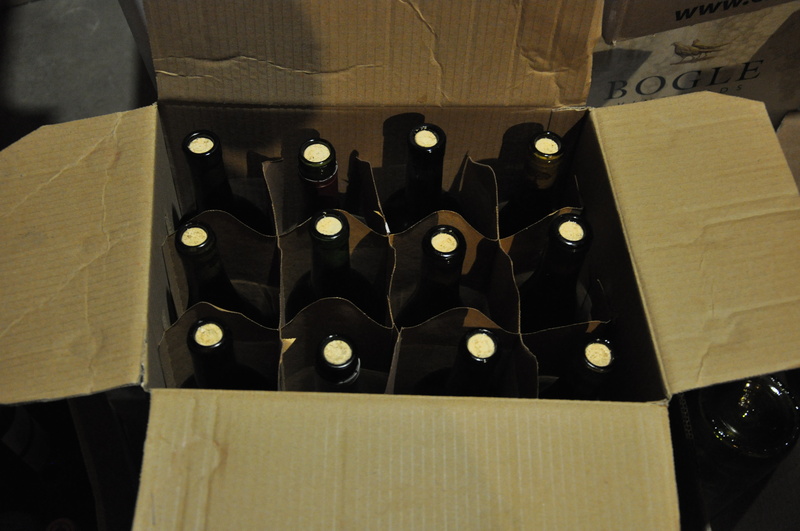 Change of plans, borrowed 2 bottling systems and headed back home to Bonum. 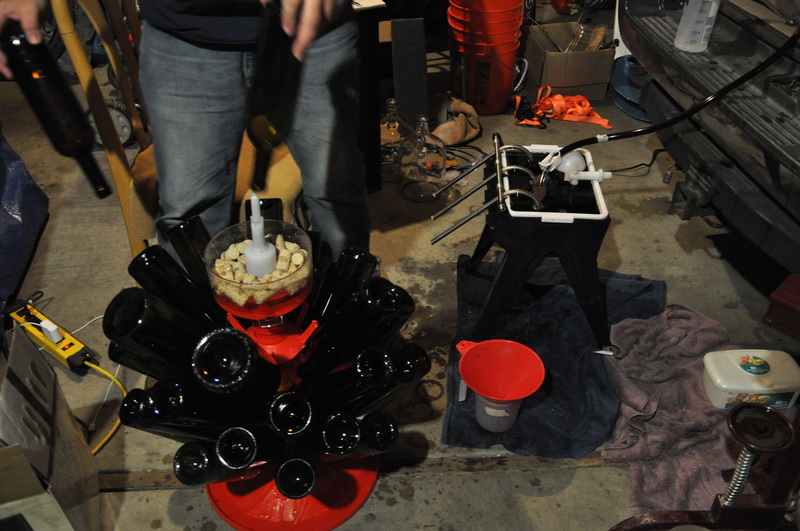 Bottling our wine at home… I can liken to an at home birth. I wouldn’t really know what that’s like, but Beau had picked the tempranillo, we had the barrel at our house, ect. 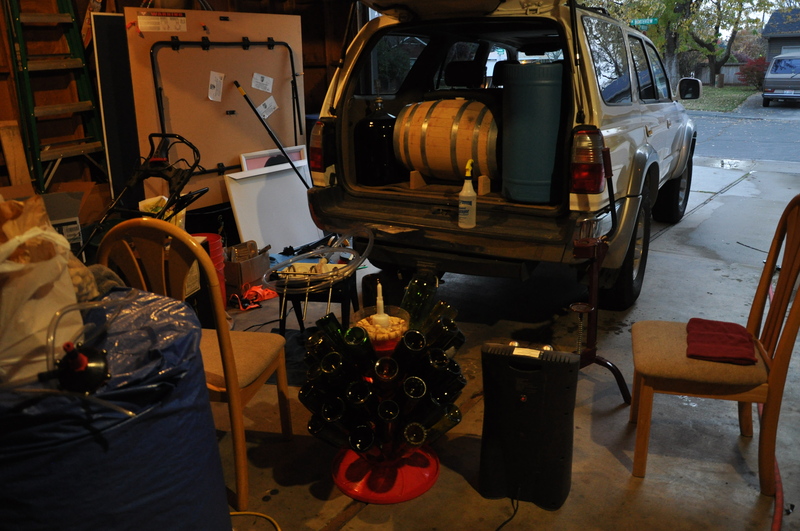 Now we are bottling it, at our house. Kind of cool,which also means we can drink a little more lavishly. first bottle bottled at our house! Okay yay! 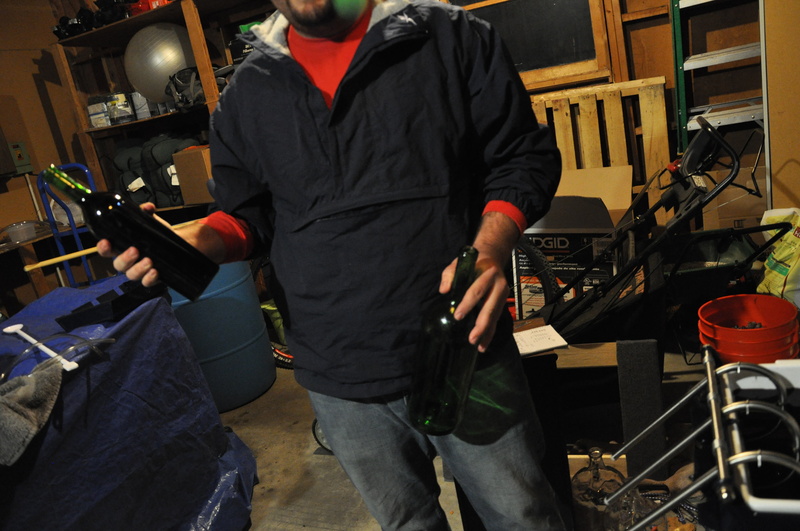 First pics, I then proceeded to cork about… 8 cases of wine so the pictures were few. Like an oiled machine that will need an oil change in about a month we were. In my fashion, I told people we were looking at around 5 cases. 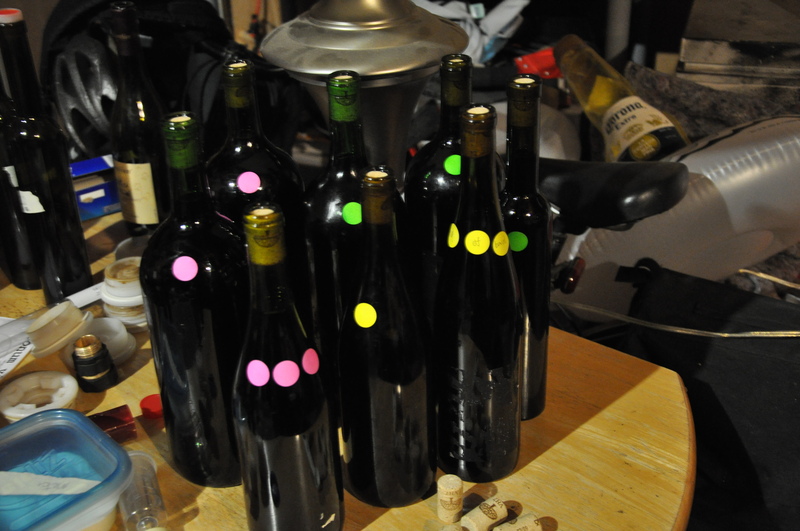 We had 7 dedicated, 4 magmums, 2 splits and 3 bottom of barrel bottles. All in all a success! The tempranillo is muy yummy. We drank whatever wouldn’t fit into a full bottle. Hopefully other people will think the same thing!